Sometimes the classics are nice, but sometimes it's nice to break away from the typical and go with something a little more exciting, a little more unorthodox. Our 5mm designer Argentium silver satin bands wedding ring with three polished edges is the perfect option for someone who likes to live life outside the box and prefers a touch of modern sophistication over sticking with a classic. A study in contrasts, this alternative band has three narrow polished bands that sit slightly lower than two alternating satin bands for a truly contemporary look. 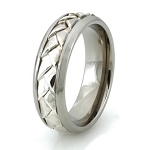 One of our most exquisite bands, this ring will look terrific on any man's hand. 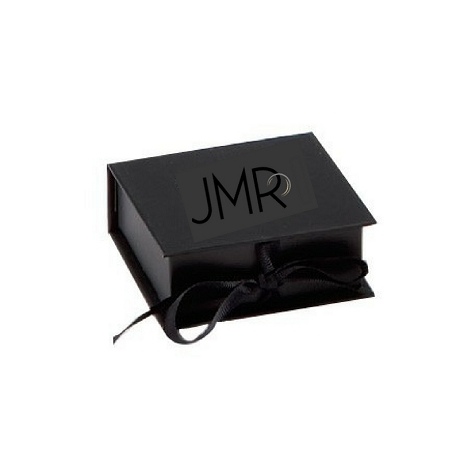 It is subtle, sophisticated, and perfect for your groom. We do recommend having your groom's finger measured for a comfort fit style by a professional at your local jewelry store. Comfort fit bands tend to run ½ size smaller due to the additional metal inside the ring. 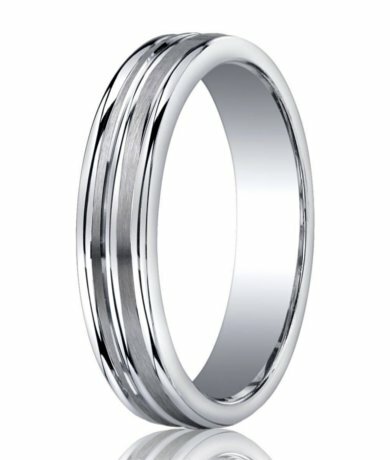 Our 5mm designer Argentium silver satin bands wedding ring with three polished edges is perfect for the couple who is looking for affordability and quality all in one. We even offer custom engraving of up to 30 characters, so you can add a meaningful date, initials, or lyric.